This Sunday, customers in the U.S. will be able to get their hands —or, more specifically, wrists and ears —on LG's latest wearable fitness and health monitors, as the new Lifeband Touch activity tracker and Heart Rate Earphones are set to go on sale May 18. Both devices are compatible with Apple's iOS platform through a downloadable LG Fitness application. 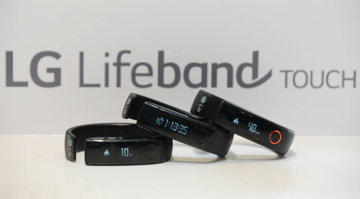 The Lifeband Touch also offer compatibility with popular health-related applications MyFitnessPal, RunKeeper, and MapMyFitness. The Lifeband Touch is a wrist-worn device that sports a touch-controlled 0.9-inch OLED display that automatically turns on when the wearer turns their wrist. 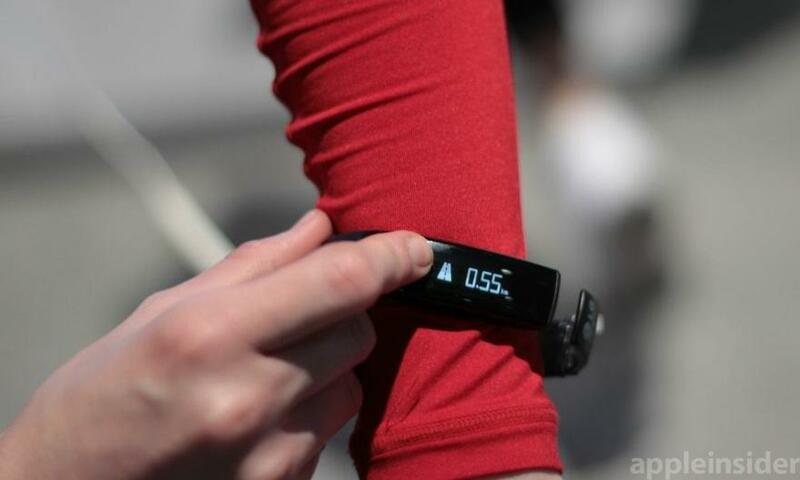 It provides users with fitness data, allowing them to check their movement and measure progress thanks to an included triple-axis accelerometer as well as an altimeter. 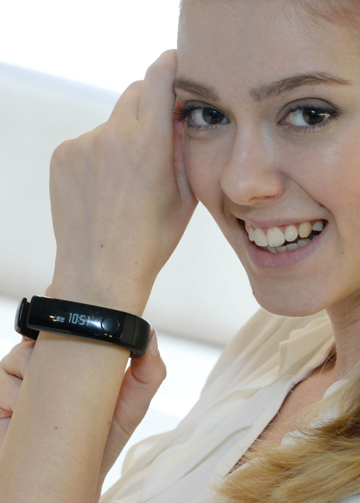 LG says the Lifeband Touch's 90mAh battery provides five days of uptime before a recharge is needed. And it also comes in three different sizes, allowing users to find the fit that is most comfortable for them. 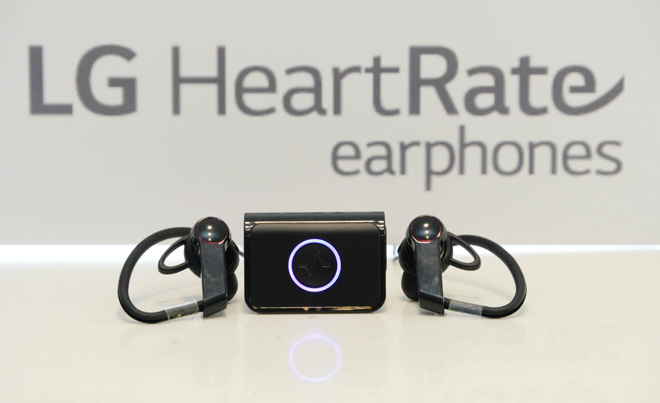 It can be paired with LG's new Heart Rate Earphones, which will measure blood flow signals in the ear through PerformTek sensor technology. LG claims that its Heart Rate Earphones will provide more accurate health and fitness metrics than other devices thanks to the unique physiology of the ear. 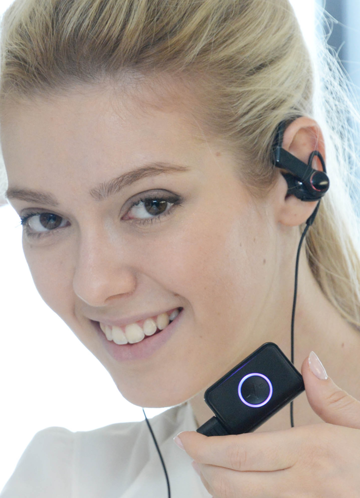 The earphones can be used alone and connected to an iPhone, or they can be paired with the Lifeband Touch to let users get data readouts on their wrist. Data can be transferred via Bluetooth with a separate clip-on medallion. LG"s Fitness application for iOS also allows users to receive audible status updates to inform them of their heart rate and maximum oxygen consumption levels in real time while wearing the Heart Rate Earphones. Both products launch in the U.S. this Sunday, May 18, though LG has not announced pricing or availability. AppleInsider went hands-on with both products when they were unveiled at the Consumer Electronics Show in January, finding the touchscreen OLED display on the Lifeband Touch to be particularly unique. LG has also indicated that it plans to add support for viewing data and participating in guided workouts on compatible LG smart television sets.